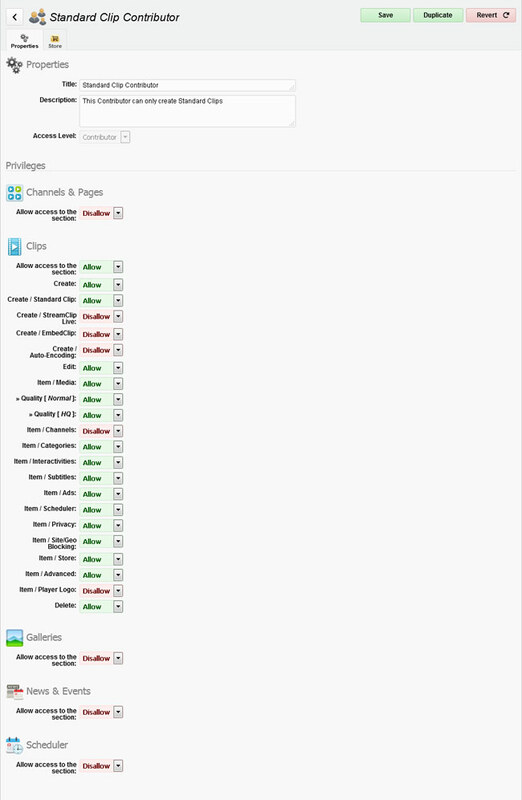 A screen comparison between the (optional) Advanced User Management extension vs the standard, basic, User management features of WS.WebTV (without the extension). • Version used for the screen captures: WS.WebTV Professional 3.1, 2.0 and 2.2 (all extensions enabled). 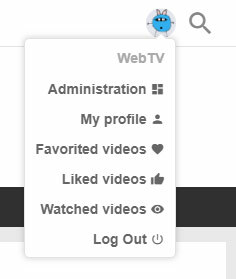 Some options/features might be different, respect your WebTV, depending on the installed version and extensions you have purchased. 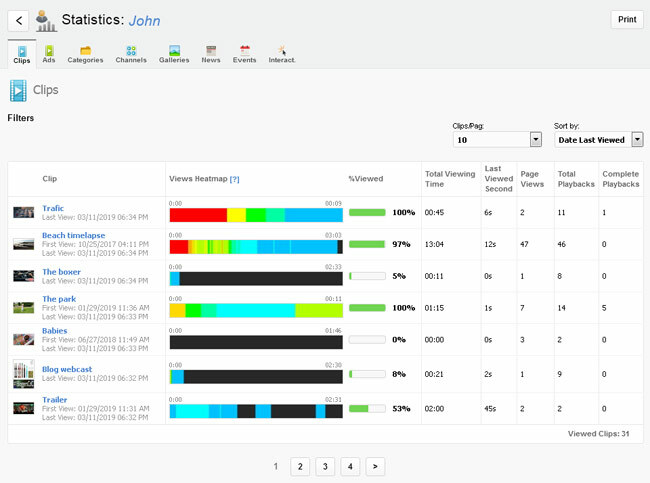 Here you will find some screen captures that illustrate the differences between the basic, standard, User management features of WS.WebTV and the Advanced User Management extension features. 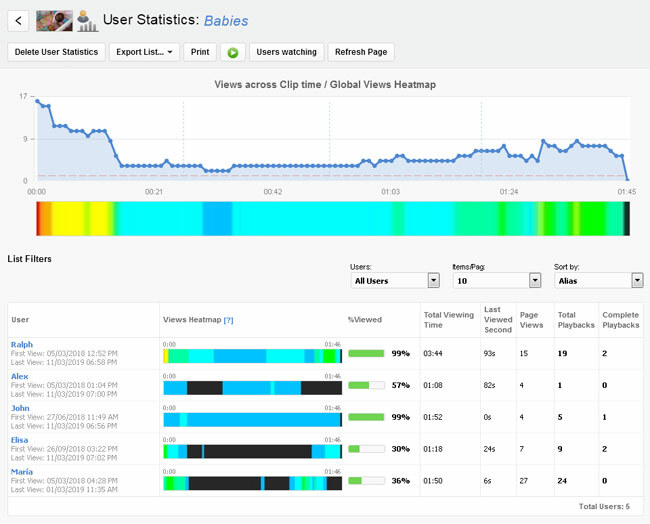 Allows you to know your registered Users' activity: Views' Heatmaps, viewing time, views, etc. Flexible User privilege system. 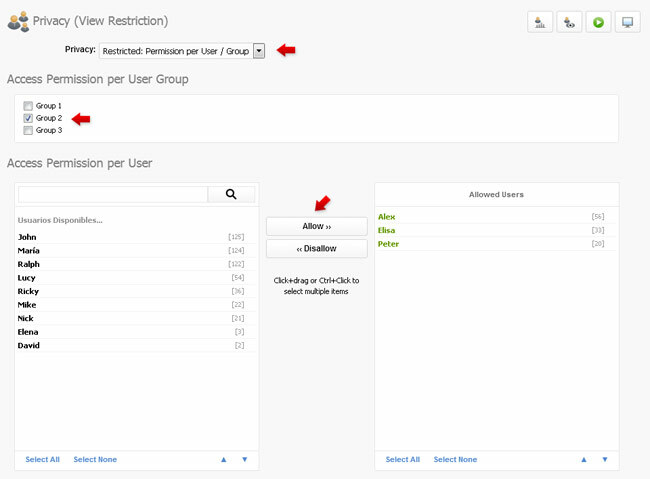 It is possible to create privilege sets for the access levels Webmaster, Administrator, Contributor and Author, allowing/disallowing the access of the Users to the different sections of the Content Administrator. 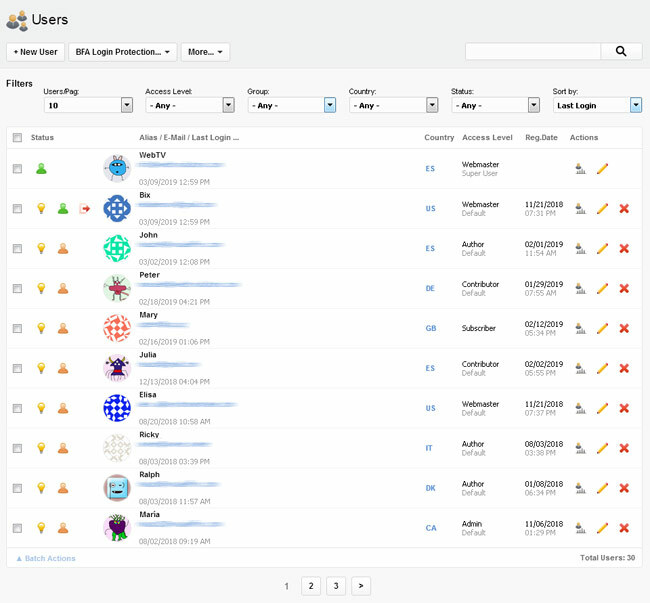 You can create any number of privilege sets per access level and assign the desired access level + privilege set to each User. On top of the previous, if you have the Store extension, it is also possible to sell the privilege sets (corresponding to Author and Contributor access levels) as "memberships". +Info. 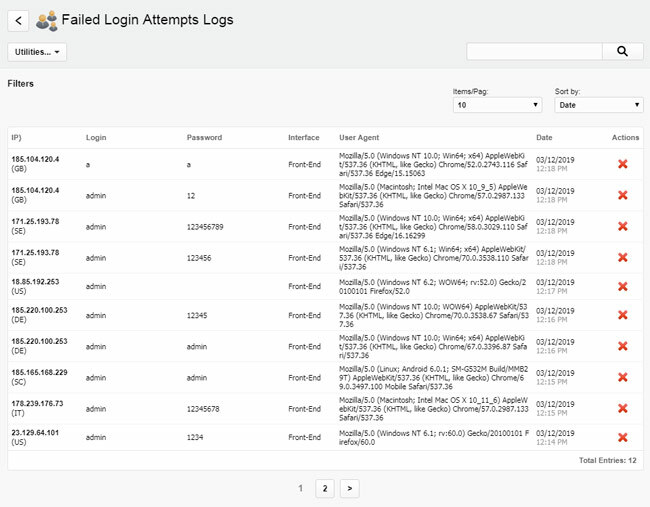 Failed login attempts log (including the IP, Time, tried Login/Password and User Agent + CSV export functionality). 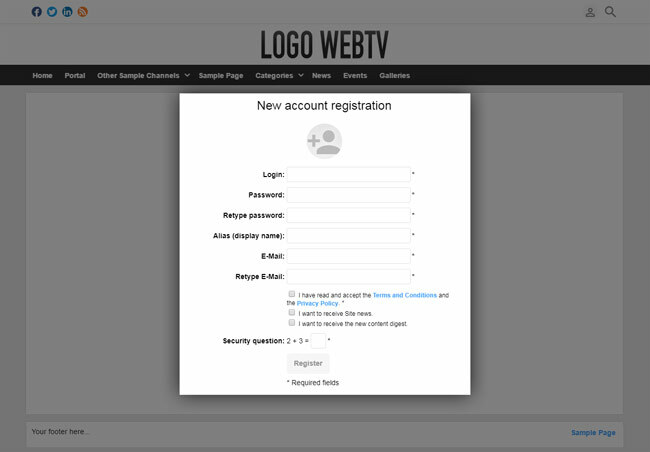 Send newsletters to the users registered in the WebTV. 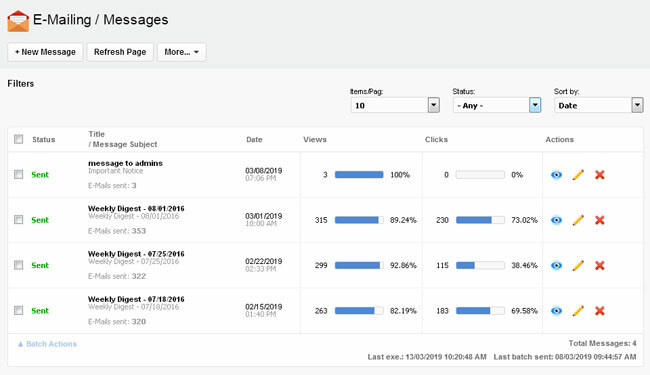 Additionally, you can configure the system to generate and send (automatically) periodic newsletters with an overview of the latest content published in the WebTV. +Info.